New Jersey's Loyalist Homestead: The 1759 Vought House ~ The History Girl! Just a minute or two off Route 78 on a knoll in Clinton Township is a stone house which tells the narrative of the American Revolution in New Jersey from a different perspective - that of a Loyalist. New Jersey was the crossroads of the American Revolution and has many sites that honor George Washington, wartime generals such as Knox, von Steuben, and Greene, and the Continental Army which fought and camped all over the state. However, there is no site that speaks from the viewpoint of the Loyalist. The Vought House, which fought its own battle to be saved, will eventually serve as an education and research center for the Revolutionary War from the perspective of Loyalists like Christoffel Vought. The house was originally part of a 285-acre homestead owned by Christoffel and Cornelia Vought. Vought was a well-known Loyalist during the Revolutionary War. Christoffel's parents were German Lutheran immigrants from the Electoral Palatinate. Christoffel was born in 1714 and was baptized at the first recorded German Lutheran service in New Jersey. In 1749, Christoffel became head of the Vought household, marrying Cornelia Putnam Traphagen and soon fathering two children, John and Christiana. In 1759, he purchased 285 acres of land on the South Branch of the Raritan and Spruce Run in what was then Lebanon Township, now Clinton Township, and proceeded to construct a homestead . The construction of the home reflects typical architectural design of the period. It is a three bay, center hall construction with chimneys on the gable ends. Reflecting more of the Palatine German tradition, it is banked into the hill and the ceilings have decorative geometric patterns. The kitchen, with a wide cooking hearth and beehive oven, are located on the lower level, Since the house is built into a hill, you can walk out on the low end directly from the kitchen. Christoffel became a respected member of the community and within the German Lutheran congregation. He was elected to the council of his church and became an elder. In 1768, he was named one of Hunterdon County’s Road Commissioners. He also purchased 2,000 acres of land near Albany, New York. Christoffel and his son, John, were friends with their neighbor, militia captain Thomas Jones. But when the local militia company refused to turn out to prepare for the defense of New York, John Vought and Joseph Lee, manager of the nearby Union Iron Works, were blamed and called to appear and explain why. On the day he was to appear, June 24, 1776, John Vought led a mob of about two-dozen club-wielding Loyalists in an attack on Jones' tavern. After the raid, Christoffel and John Vought, Joseph Lee, and other Loyalists were arrested and held in the county jail for about two weeks. Before his arrest, John did try to escape though a window in his nightshirt, but was subsequently captured. Volunteering to fight with the British, in December 1776 he and his son John unsuccessfully led a team of fifty-five to eight-five Loyalists to join the King's forces and fight with the New Jersey Volunteers in [New] Brunswick. Christoffel was subsequently captured by the Hunterdon Militia at the battle of Two Bridges (present-day Branchburg). A Jury of Inquisition found him guilty, and the Vought family went into exile in Nova Scotia while their house, land, and possessions were sold at auction by the Hunterdon County Commissioners in 1778. The ceilings in the Vought House are notable for their intricate geometric designs. 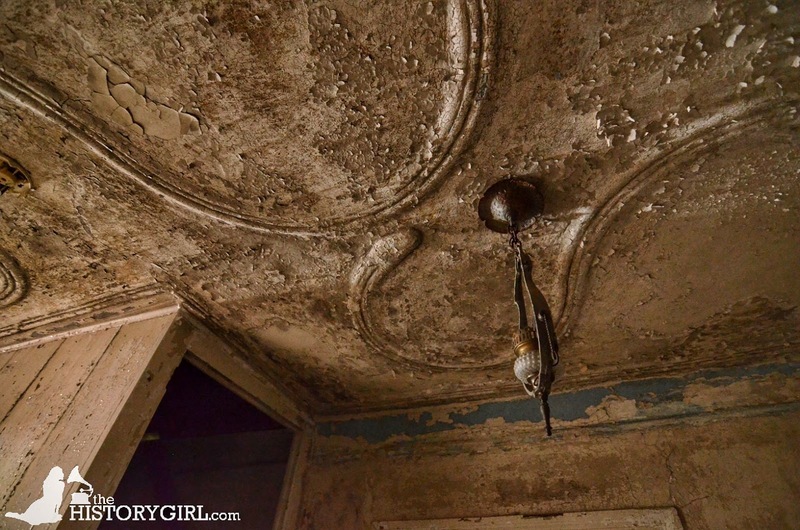 This may be the only house in the United States with four mid-eighteenth century wattle and daub (a clay and mud plaster application of wood latticework) decorative plaster ceilings. There may have been a fifth room with a decorative ceiling. Unfortunately this room was turned into a bathroom and the ceiling was removed. 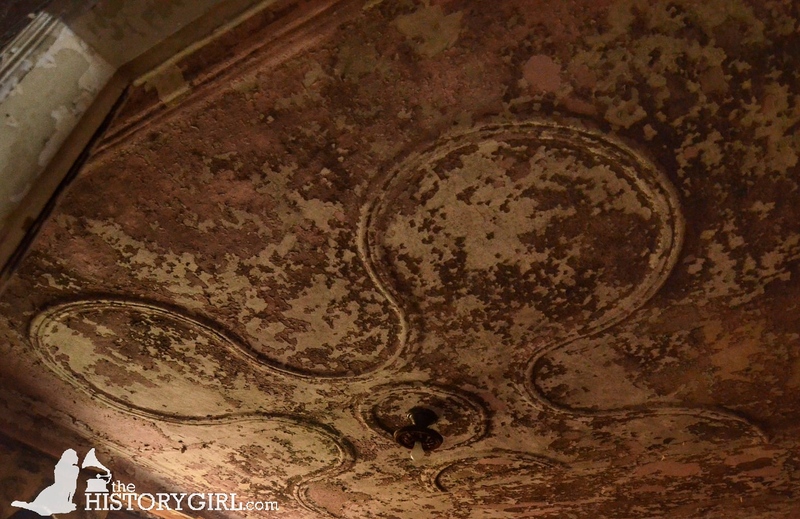 When the more modern plaster ceiling and walls were removed, evidence of wattle was found. 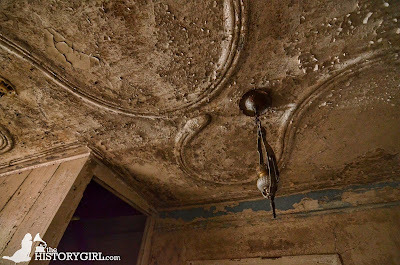 The ornamental plasterwork is very similar to another Palatine German stone farmhouse in Berks County, PA, the Hehn-Kershner House, circa 1755. In 1958, the architectural elements were purchased by and relocated to Winterthur Museum. The most unique of the ceilings is the serpentine design with a snake's head at one end near the front entrance. It is amazing to think that this ceiling has remained intact since it was originally installed in 1759! A number of additions obscured the historic core of the home. In the 1830s, a rear addition reoriented the house to face adjacent Grayrock Road, a kitchen addition with a shed roof covered the far side , and a two-story front porch masked the original front elevation. The entire exterior of the home was stuccoed over and painted white, hiding the beautiful stone underneath. In 2005, the Clinton Township Board of Education purchased the property that the house was on as the proposed site of a new school. School officials planned to demolish the Vought house and the township's own Historic Commission did not object. A driveway was planned to go right through the house. As word of this became public, momentum grew to save the house, with local history leaders at the forefront. The New Jersey Department of Environmental Protection stepped in, requiring a study of the home and refused to grant some permits needed for construction until the school promised to save the house. The State Historic Preservation Office required the district to nominate the house for inclusion on the New Jersey Register of Historic Places and National Register. After six years of negotiations, the school board transferred ownership of the home to 1759 Vought House Inc. in March 2012 for $17.76. As part of the transfer of ownership, the property is now protected by a preservation easement held by the New Jersey Historic Trust. Since that transfer, the two-story front addition has been removed, allowing the original window and door arches to become visible, a new cedar shake roof was installed, the third story of the rear addition was cut down as part of the roof project, the two gable-end chimneys reconstructed, and stucco has been removed from two sides of the home. In an effort to bring the house back to its 1759 appearance, the remainder of the additions will eventually be removed as funding permits. Although the 1830s addition is historic, it does not fall within the home's period of significance and would be too costly to restore. So rather than have space that doesn't fit the home's period, the members of the non-profit organization have chosen to follow a restoration plan of action rather than that of preservation. The members of 1759 Vought House Inc. realistically hope to fully restore the home within the next ten years, as long as funds are available through public and private grants and fundraising.